Myrtle Beach Specials - Summer Up To 35% Off! 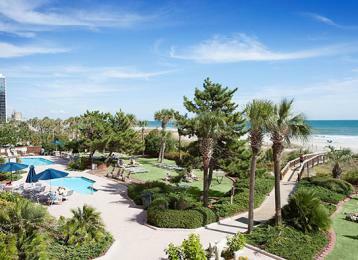 Save up to 35% off this summer at a variety of oceanfront Myrtle Beach resorts! Enjoy such amenities as indoor and outdoor pools, free Wi-Fi, beach access, lazy river rides, whirlpools, summer kids' activities, mascot appearances and so much more! Accommodation options range up to five bedroom condos, with many options including full kitchens and balconies. For more information call 866-966-2415.